Design a Silhouette word art stencil on cheap self-adhesive shelf liner. Links to free font downloads used and how to ungroup, weld and slice letters in Silhouette Studio. Jean continues to be interested in making 5 wrap bracelets and shares some thoughts and tips! 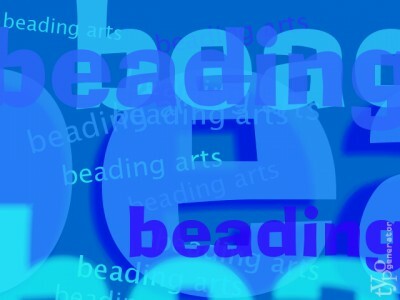 The Crafty Princess reviews a new book about bead crochet. Do you like a beady challenge, asks Michelle! Labradorite was the inspiration for the Warrior Stone Challenge. See what the participants made with this lovely kit!